Secure yourself in the streets with this accessory. Next up in our accessories rotation is the Gold-Toned Padlock Keyring from Yoon Ahn‘s AMBUSH imprint. A keyring which features a brass body with a silver-toned brass shackle that’s finished off with a gold-toned brass key attachment at the base. To round off the piece, the AMBUSH has doused the made-in-Japan piece with its signature logo branding. Use it a necklace pendant or as a certified keyring head-turner; this accessory is sure to secured to whatever it’s fastened to. 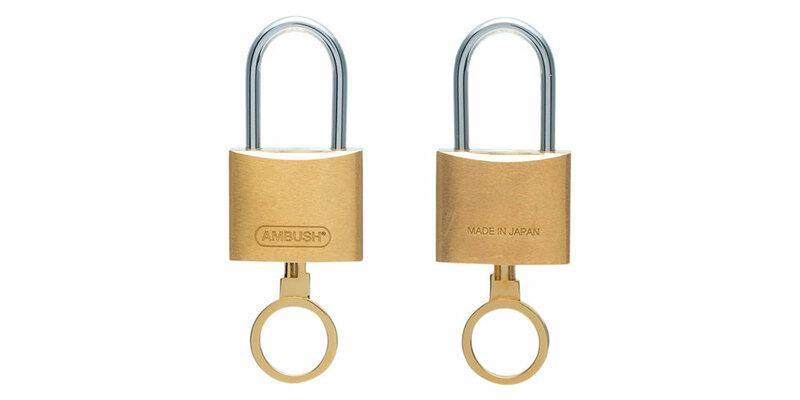 If you’re interested in picking up your very own Gold-Tone Padlock Keyring from AMBUSH, head over to Browns’ web store where it’s retailing for approximately $285 USD. For more related news, check out Louis Vuitton’s first Unisex Fragrance Collection. Featuring a rubber hair wig. The 2003 Nike Shox TL Returns in "Speed Red/Metallic Silver"
More nostalgia on its way. Commemorating the first manned moon landing.